Think of overseas investment into UK hotels, and the first thing that tends to come to mind is Middle Eastern sovereign wealth buying up trophy properties - but that trend now seems to be changing. Obviously, that still goes on - but the investor pool has been widening in recent years, as the promise of consistent returns and relatively low risk investments compared with other property asset classes prove increasingly attractive. And the UK's decision to leave the EU could actually increase investment demand further, as the weakness of the pound sparks an overseas tourism boom. Couple that with the fact that the UK hotel market generally has limited stock and high demand, particularly in prime locations, and it seems clear the scramble for hotel assets is likely to continue. Investment in this market has generally come from the US, China and a small set of investors from Europe. More recently Asian investors have entered the fray, with particular interest coming from China, Singapore and Hong Kong. This article is a testament to that trend and it’s not just isolated to London, interesting times indeed, will the trend continue to develop? 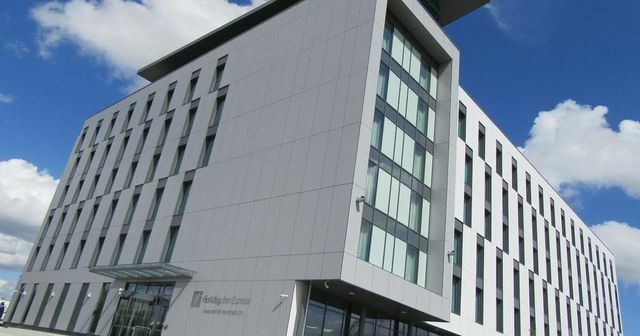 A subsidiary of Hiap Hoe, the Singapore investment business, has bought the Holiday Inn Express, Trafford City from a joint venture between Topland, Marick Capital and Mill Lane Estates.